Plan a local pilgrimage as part of your professional development plan this year. Over 250,000 people walked the Camino de Santiago in Spain last year. Walkers from all over the world came to experience this sacred trek.Their range of motivations included exercise, culture, religion, nature, and adventure. Throughout human history various cultural and religious groups have conducted pilgrimages. Now, pilgrimages attract walkers who just want time and space for reflection.What would it be like if you integrated a pilgrimage into your professional development plan this year? Consider a local pilgrimage as a way to integrate more reflection into your personal and professional growth. SET INTENTIONS: A pilgrimage should be more than a good long walk for exercise in an exotic place.The idea is to set intentions with a focus on reflection more than fitness. 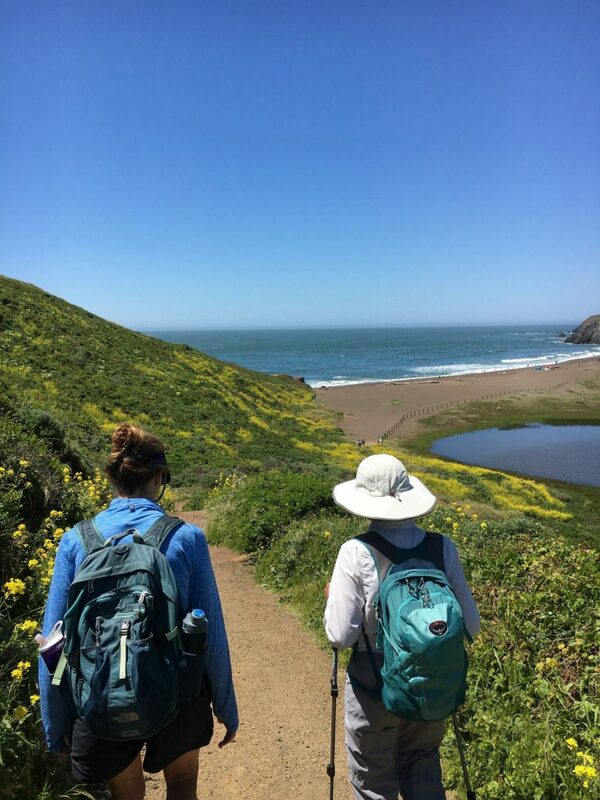 Some walks will have spiritual underpinnings, many will include themes of disconnecting from technology, creating space for transformative thinking, connecting with nature and realigning with more meaningful work with colleagues. In sacred pilgrimages, walkers set their intentions around healing, penance, thanksgiving, worship or enlightenment. In a reflective growth pilgrimage, you set your intentions based on what is most pressing for you at this time in your life. Pilgrimage themes include peace, justice, gratitude, hope, transformation, leadership and service. Walking with fellow pilgrims interested in one of these topics will allow you to have space for reflection and shared insights. PLAN THE TREK: Planning the route of your pilgrimage needs to be intentional. It does not need to be an expensive international trip. It just needs to be a place that inspires and energizes you. Consider a route that inspires and challenges you both mentally and physically. What natural or built environments could lend metaphorical meaning to the trek? I am helping a small group plan a local pilgrimage with intentions that focus on hope and gratitude. One of my wiser colleagues said during our planning stages…”gratitude is the engine that drives hope”. We will begin our trek on a quiet beach in a cove that is protected by giant shade trees. Our first intention is to think about a time when we were in a dark place and found our way into a more hopeful path. We will walk in silence to begin this reflection. We will then share our experiences with a partner as we climb up out of the cove to the top of the sunlit ridge above. From there the walk will move into other themes of hope and gratitude. Our plan is to walk across a local bridge as a metaphor for the transition into hope. We will finish at a cliff overlooking the ocean. At this spot a group of people have slowly been building a labyrinth one stone at a time. We will end there with our reflections on gratitude and contribute our stones to the pathways of the labyrinth. DISTANCE: Pilgrimages can be any distance. Ours will be 12-15 miles as we wanted to experience the different shades of light: morning, mid day and late day light. Pick a distance that will support your goals. Take your time. Walk slowly and appreciate each sight, sound, and smell you encounter. Breathe deeply and keep returning your thoughts to the intentions you set for the journey. Stay open-minded and be willing for the unexpected to occur. Don’t try to force inspiration to come. Just relax and allow it to emerge within you. What would you like to focus on during your pilgrimage? Who will be your fellow walkers? Look at your calendar, when will you walk?